Scouting talent as a model agency is not as easy as you might think. For although there are millions of people in the immediate vicinity who have talents, the few special ones, the pearls are hard to find! On the one hand, not everyone assumes that they have the potential to become an international top model, a great influencer, or an actor. Many must have the talent and of course they must be intensively promoted. Our modeling agency specializes in developing talent and bringing it to excellence through individual programs. We represent several categories of talent. Before you have the classic high fashion model in front of your eyes, when you think of a model agency, our management does much more! In addition to our models, we also take care of our bloggers so that they become real influencers through sufficient reach. In addition to promoting young talent, the focus is also on the great talents that already exist, with one million fans and more. Therefore, our work is not only in the field of fashion, but much broader than many would expect at the first thought of a model agency. In the field of technologies, automobiles and real estate, we offer jobs to bloggers so that you can promote the products and brands within your community. Our model agency focuses on the development of young models, the so-called New Faces, in particular on international markets. Because not all models are the same. The first stage consists of regional models who, for example, do jobs for regional companies. Those who make it further can also successfully model in the entire national market, from social media to online shops and advertising. One step further are the international models. Of course, the construction is also the most time-consuming and intensive here. At the same time the success and of course the chance for young models on the international market are the greatest. Because here are the big jobs, from lookbooks for famous designers to advertising campaigns. In addition, one is not only dependent on a national market, but has distributed one’s network over many cities, directly on site. Through the targeted selection of local and regional partners, a very strong network can be established for the model. With every year and every season, you visit your partners for two, or three months. So you always have a little break in the national market, so that the customers look forward to your face again! As a music publisher we also publish a few of our talents as musicians. Because especially talents with a beautiful voice and perhaps the right reach in the social networks, one should promote! Of course, the promotion of musicians and talents is just as intensive as the planning of international high fashion models in the offspring, but the investment is still worth it, because it helps young people to build a sustainable career. As a music publisher, we not only take care of the right framing, i.e. content, organisation, planning, partners and much more, we are permanent contact persons and 360° partners for customers as well as for our artists. You are looking for a certain talent? Our model agency and managers will help you find the perfect talent quickly and easily. As a model agency we are always very close when it comes to new trends from the fashion world: fashion, bloggers, trends, events up to Fashion Week, we are there! With our fashion magazine, we are constantly on the lookout for the latest information for our visitors and readers, what’s going on in New York right now? What just happened to coming from London? What’s new in Berlin? What’s happening in the world? Which bloggers are hot and which need? You find the trends for us! From day 1 you work directly with our team from the and are part of advertising (for example Youtube campaigns) and the model agency, which means you still get many insights into the world of media. The perfect start to your professional career. What makes the training so special? Know How meets Fashion. Due to the fact that we have many points of intersection with the advertising industry, we are among other things specialized in online marketing and search engine optimization. If you combine both areas, Fashion and Influencer as well as Online Marketing and Search Engine Optimization, then you have gathered absolutely valuable know-how for the future! No matter if you want to study media later or if you want to start your career later, you have good chances! Interview the best bloggers of Germany and find out for us that nobody knew yet! As a fashion editor you are also partly on Events, Store openings, Blogger Events, Fashion Weeks, GNTM or the About You Awards. It is guaranteed not to be boring in the fashion world! Among the requirements and prerequisites for an internship and intensive vocational training you will find further information about jobs as an online editor. Application for editorial office / fashion magazine only possible for Cologne! We are looking for interns and trainees who want to immerse themselves fully in the world of media, models & advertising! At CM you will see all areas and get to know all aspects of a model and media agency. You will gain deep insights into office and administration, as well as media skills: Modern online marketing, social media and influencer marketing, PR and much more. Apply now in our model agency! Please send us only a cover letter + curriculum vitae as PDF. We don’t need any certificates or degrees. PDF only up to 8 MB. Online editors: News, trends and influencers all day! Your everyday life consists of classic office work! With a good cup of coffee or cappuccino you start the day at 9 o’clock in the morning. You have your own workplace and check all e-mails and requests first. At about 10 o’clock we meet for the team meeting. Here we discuss the most important tasks of the day quickly and shortly. After that, you’ll focus fully on your work, from consulting with blogger management to PR agencies, new visuals to release in Photoshop, or other tasks you don’t expect today! Because as a fashion editor you are always part of our model and advertising agency. So you also take over editorial tasks for our model agency, in the area of PR. Our internship and vocational training (office management clerk or dialogue marketing clerk) as a fashion editor are diverse and varied. With all your main tasks, a friendly team and constantly new tasks, so that you can grow with the challenges! During the three-month internship you will get to know all important areas at a glance. Then you will have an assessment of whether you would enjoy your job as a fashion editor or not. During the three months you will be given an area of responsibility that you are allowed to supervise independently, with supervision and guidance. In addition, you will of course also be involved in working with our team and get to know a little from the world of public relations (PR). During the six-month internship you will learn much more than just the important areas of career orientation! The experiences are also more. For example, every half year the Berlin Fashion Week takes place, if you’re lucky you might be able to visit it for us! Or you can organize photo shoots with photographers and models, which are then published in the magazine. You will be assigned such larger projects in a six-month internship. You will then take care of the various tasks and contact persons, agencies, designers, models and bloggers. During your internship you will not only get to know the superficial aspects of a fashion magazine, but also the deeper work processes in marketing. In a vocational training, e.g. to the buyer or to the buyer for office communication or dialogue marketing, you learn everything what there is to know about the media world! After completing your vocational training, you have gathered so much know-how that you can gain a foothold in any agency and pretty much any magazine. We will not only teach you how to work editorially, you will also get to know many aspects of marketing and especially online marketing as well as social media and influencer marketing. Who’s in the front row of a fashion show these days? Blogger! That’s why we are no longer just asking the classic world of printed magazines, but have focused completely on the online sector since 2018. Nevertheless we publish every six months a best of edition in printed form, for reordering. Of course you will get to know all aspects of the layout, you will like to work with Photoshop but also with InDesign. At the end of your vocational training you will have got to know everything and with a little luck and good performance you will even get a permanent position. The perfect preparation for a career in the fashion world! Jeremy Fragrance – We work together since CM startet. We met the most successful perfume influencer in the world Jeremy Fragrance at one of our lunch parties to talk about his new and FIRST fragrance. In an exclusive interview he tells us how he became an influencer, his plans for the future and his first perfume. He also gives you tips on how to become a successful influencer and shows us that he is just a person who is excited in some situations and has his own little tricks for it. If you are looking for answers about fragrances on Youtube, Jeremy is the place for you. Meanwhile he is on place 1 as the most successful Influencer in the category perfume. In an exclusive interview, he told us how it came to this, what he does in his spare time and what his future plans are. Some cool facts about your favourite perfume Influencer can be found in this video. Next week, you will meet Johanna, moving to Chicago now. Stay tuned, follow us on Youtube: Modeling Agency. With so many different fragrances out there, it’s hard to keep track. Above all, it is difficult to find the right one for the given occasion. A scent remains in the memory of an encounter. Nobody can help you with this topic better than perfume specialist Jeremy Fragrance. Jeremy Fragrance was born on 05.02.1989, 1.90m tall, blue eyes, trained and single. Originally he worked as a model for Cocaine Models. Then 4 years ago came the spontaneous idea – why not make a Youtube channel and give men tips about styling and perfume? That’s how it all started, nobody could have guessed that his channel would catapult up so fast. Today he travels around the world in a tailor-made designer suit, this year alone he has already been to New York 5 times. He also had a Ferrari in between and lives the life thousands of young people dream of. He regularly uploads new videos to his channel, where he tests different fragrances or asks other people for their unbiased opinions about fragrances, mostly women are asked about men’s perfumes – what they think about it and whether they would like to smell it on a man. You don’t become a perfume professional overnight, you have to train your sense of smell. In his office in Hangelar (North Rhine-Westphalia), he believes that his long shelf contains the 100 best perfumes in the world. On another sideboard next to the impressive perfume collection are the 55 most important fragrance oils. Time for his morning routine – each bottle is gradually opened and smelled. As soon as a mistake is made in the assignment, ten push-ups are made and it starts all over again. Only in this way can he guarantee that he can always give his viewers the best tips – says Jeremy. With 500,000 followers on Youtube, which are constantly increasing, he is considered the largest perfume influencer in the industry and that worldwide. So it’s hard to say exactly what his successes are, because his whole career seems like one big success. Still, there are a few moments that stand out. Only this year he won the Consumer Choice Award of the Fragrance Foundation and flew to New York, where he was awarded the prize for his Vlog “5 Reasons to wear Fragrances”. His video “Top 10 Most Complimented Best Mens Fragrances of all Time” has an incredible 2.8 million views and is the most watched video on his channel. 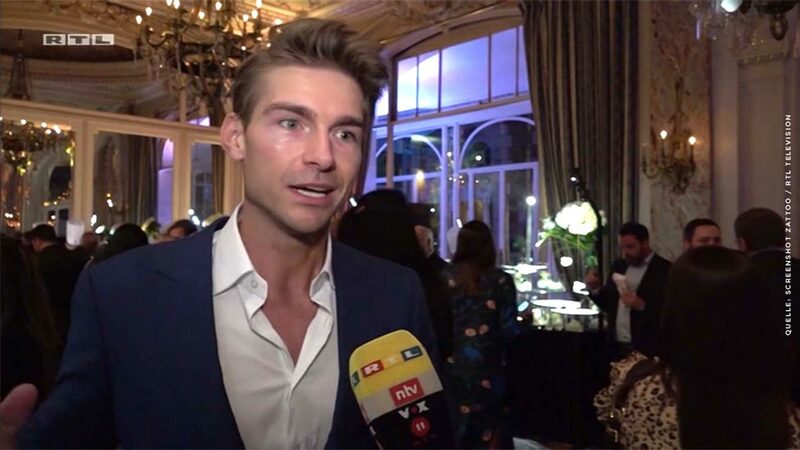 Last month he was also on German television again on RTL Exklusiv, where he was widely reported as the biggest influencer of his genre. Now he is working with the “Michael Jackson of the perfume industry” on his own fragrance, which is due to be launched in 2019. His demands on his own fragrance are very high, it only comes out when he thinks it is the best fragrance in the world. That sounds like a pretty high goal, but for someone who only ever gives 100% like Jeremy achievable – we are excited! What does Jeremy Fragrance do in his spare time? Jeremy doesn’t really need time to “switch off”, as his job as a perfume influencer is far too much fun for him. It’s a full-time job and hobby. For fun he never goes out to eat or play billiards, in the evening he rather deals with comments under his videos, which he reads himself, which takes a lot of time. Almost every day Jeremy goes to the gym, he attaches great importance to living a healthy life. Complete renunciation of alcohol, smoking and only Matscha tea and healthy food. That requires a lot of discipline, but Mr Fragrance has it. We accompanied Jeremy during the shooting of his latest Youtube video and had a look behind the scenes. It was very interesting and surprising how such a successful Youtuber makes his videos – completely spontaneous. Camera set down, light briefly adjusted and “start” pressed. A totally relaxed one was finished after 2 minutes – you would think there is an incredible amount of preparation every time, but that’s not how it is. Just a lot of experience. After that follows the turning off of the content, also that is fast turned off and already he has a video. Of course it still has to be cut, but that’s no problem for a professional like Jeremy. Of course the question arises – don’t you run out of ideas when you talk so much about perfume? Jeremy’s answer to that is a clear no. When you’re behind a topic like him, you always have something to say. Why is he so successful? That’s a question you don’t have to ask yourself once you’ve seen a video of the influencer. Charming, funny and authentic – that’s Jeremy. If he is more than 01:59min late, he does 20 push-ups, that must be and requires a lot of discipline. However, this is invited without exception, even if it happens at a prize-giving ceremony in New York in front of running cameras. It’s also important to know that Jeremy never gets paid for his opinion by perfume manufacturers, that’s something he really values. He wants to give an unbiased, honest opinion about scents to his viewers and that’s exactly what he does. From women’s fragrances to men’s fragrances you will find everything you only want to know about the topic in his videos. If he were to accept such deals, he would no longer be able to remain true to his own concept, and that is what matters most to him. How it goes on with Jeremy and what he will achieve in the future you can see on his Youtube-Channel. Our little TikTok Star: LENA! Lena is sugar! Lena is one of our young bloggers, influencer… just a great person! We met Lena through a good friend who was in our agency in the summer. She spoke of Lena and TikTok. When you saw her first contribution, we were directly enchanted and had to get in touch with the young woman from Cologne. Lena manages to inspire people spontaneously with her sugar-sweet manner and her smile. Her open and absolutely uncomplicated manner makes her an absolute popular figure, whom we as management would like to support with incredible pleasure. Lena is not only cheeky and perfect for social media, her first job was e.g. for Deichmann, Lena is also super strong for all forms of advertising. Toothpaste smile! To give you a first impression of our Lena today, we sent her to our videographer and here it is, her first showreel video! More about Lena, but also about her Instagram channel and musically you can find in Lena’s blogger folder. Today came their new video on our YouTube Channel! If you don’t want to miss a video of her but also of our other models, then follow our model agency on YouTube! https://cocainemodels.com/wp-content/uploads/2018/07/blog-lena-beautiful-girl-white-shirt-musically-influencer-internet-sta-1.jpg 700 1600 Hanna https://cocainemodels.com/wp-content/uploads/2015/04/modelagentur-logo-deutschland-cocaine-models.png Hanna2018-08-08 13:00:032018-12-06 16:48:27Our little TikTok Star: LENA! Jeremy Fragrance – Besides Youtube clips on men’s perfumes, the smart Mister Cool is also successful in the model business. In addition to large jobs such as for an energy drink manufacturer, Jeremy has been decorating the model card index of Cocaine Models since 2015. We talked to Jeremy about his skills, future plans and experience in the modeling business. CM: You’ve already had some experience as a model, what were your best experiences/jobs? Jeremy: Just recently I had two jobs that I liked very much, I was allowed to dance on the catwalk! Power and a good mood – that’s what we should communicate and that’s what I did. CM: Where do you see your strengths as a model? Jeremy: Versatility and discipline are my strengths. I can let go completely and be free, at the same time I listen carefully to the wishes of the customer to achieve the best possible result or even surprise him with an even better idea/pose. Jeremy: CM: Do you have a fashion tip? Jeremy: Always be authentic, no matter what emotion it is, as long as it is authentic – it’s good! CM: What is your professional mantra? Jeremy: Being unique and yet suitable for the masses. CM: What else do you want to achieve in the future? Jeremy: I love it when people send me Whatsapp photos when they see me in magazines and more! CM: Dear Jeremy, thank you for the interview! Berlin Fashion Week: Shows, Dates and… Invitation? Soon it will be time again and all model agencies and models will meet again in Berlin! The Fashionweek is coming up and invites to the big summer party. For a week, the German capital is turning back into a fashion Mecca. Many know the big shows of German designers from fashion magazines like Vogue, Elle or Harper’s Bazaar. Away from the mainstage there is also much else to discover, e.g. the Berlin Fashion Salon. But also the meeting places of the Be-to-Be economy. What does that mean? But let’s start with the basics! Why is Berlin Fashion Week? Fashion changes so fast! Almost every month there is a new collection and new parts hang in the shop windows in the city centres, and there are always new highlights in online shops. All big chains but also all boutiques have to get their clothes from somewhere. Usually you visit a designer and look at the clothes in the showroom. Showrooms are therefore also one of the most frequent jobs for young models. Here you present the designer’s new fashion collections directly to the body, in front of a small audience, with only designers, someone from marketing and the customer. The customer can view the cuts directly, but also the fits and materials. Of course this way is relatively complex, because every single boutique owner has to come to the customer, needs a single appointment, a model and so there is a lot of effort. Berlin Fashion Week has exhibition halls with various themes, trend fashions, wedding fashions and oversizes. Hundreds of designers and producers position themselves at every trade fair. For one week trade visitors can inform themselves here about the latest collections and pieces. You can not only see the individual samples live, but also models who can present individual parts are booked on each stand. This is the main business of Berlin Fashion Week! From the prêt-à-porter to the curvy, customers will find everything they need for their fashion boutiques and shops. Berlin will thus occupy the trends in German fashion boutiques for a few weeks. Of course, not only boutiques stop by, larger fashion chains also send their scouts out to discover trends. Hundreds of designers are lined up next to each other on each stand at each trade fair. There is a lot to discover here, i.e. fabrics and cuts that have been separated but also completely new ideas as well as Function Wear. The fashion industry never stands still and that’s why we meet for Fashion Week, whether in London, Paris, Milan, New York or Berlin to discover the latest trends. And when you meet, there are always others, of course. YouTube, Instagram Stars, Press, Stars and Starlets. 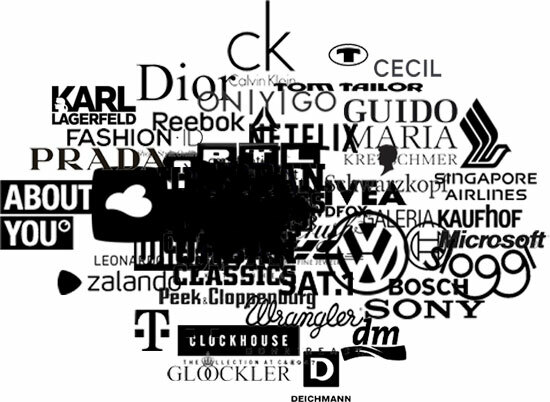 For one week, the Who’s Who of the fashion and media world will meet in Berlin. How many fashion shows are there at Berlin Fashion Week? There are two different sections among the various fashion shows. One stage deals with the main shows. This is where the great German designers meet to present their new collections to a large audience. Not only normal guests are invited to these fashion shows, but also VIPs, YouTuber, Instagramer, press representatives and stars as well as actors, footballers or even musicians. On this mainstage there are usually eight shows per day over 5 days. From Monday to Friday you have the possibility to have a look at the new collections. On Saturday there will also be a big highlight, the audience and the tickets are of course strictly limited and not for sale. In addition to the main stage, there are also 2.3 side stages where there are smaller shows by young designers. These include, for example, the Berlin Fashion Salon, where you can particularly look forward to new designers. That’s why there is also the Ethical Fashion Show. It runs parallel to the mainstage for 5 days and shows in particular fashion labels that focus on sustainability. These are the two different areas, the mainstage and the different side stages. How to get tickets for Berlin Fashion Week? It’s extremely hard to get tickets for the mainstage, of course designers prefer Instagram Stars or Youtuber, who can report directly and directly about the collections. Press representatives and magazines are increasingly receding into the background, but also stars and VIPs. If you want a ticket, you need good contacts and a contact person at the respective designer or his advertising or PR agency. But it is very difficult to get such tickets! For the other side shows of Berlin Fashion Week it is also difficult to get tickets but a little easier. For example, if you have an Instagram account with at least 40,000 or 50,000 fans, you can get one or two tickets. The magic word here is accreditation. However, you should take care of it early, as well you should only try if you have something to offer in exchange for the coveted places. How many people are at a fashion show in Berlin? The tickets are of course strictly limited, so there is not much space. That is clear but how little space actually? The main show of Berlin Fashion Week usually comprises a maximum of 150 people. Each show can now accommodate 150 guests. This sounds like a lot of space at first, if you count sponsors, people from the team or partners, as well as buyers who buy larger quantities, then only 100 seats are left. These 100 places have to be distributed to stars you work with, instagramers you already work with, model agencies provide the models and so on! In the end there may be 80 tickets left for the invitation, for the whole of Germany but also for international guests. So the space conditions are very tight, on the side stages it often gets even tighter. In the Berlin Fashion Salon there are shows in which only 30 or 40 guests take part. Is that what you thought? That’s why invitations to the shows are so popular! Do international designers appear in Berlin? You won’t meet many international designers at Berlin Fashion Week, Marc Cain is usually on site, but that’s the big international highlight! In Berlin he meets the top German designers, fashion labels RIANI and Dorothee Schumacher. In which location will Berlin Fashion Week take place? The designers’ shows take place in various locations in the city, a few years ago at the Brandenburg Gate in a specially constructed large tent with its own lounge and many conveniences, then in the Jandorf department store and this year for the first time in Berlin’s E-Werk. Modeling at a fashion show? If you want to work as a model at one of the fashion shows yourself, you have to take part in the castings. The casting dates, especially for the great designers, are of course kept strictly under lock and key. Here only the big model agencies should participate, so that on the day of the decision one really has only the best candidates locally. There is not much time for the preparation in Berlin, as an agency or team you usually have 7 to 10 days to find the best models, to familiarize yourself with the location, to prepare all clothes and if necessary also to make changes if something is spontaneous. Therefore, the castings are usually not conducted publicly. With smaller labels, however, you are sometimes lucky as a model without a model agency. Because some of your castings are held in public, why is that? Of course, the great designers don’t necessarily need additional advertising, they already have other concepts for that. Smaller designers, e.g. from Berlin, would be happy to receive a little extra attention for your fashion label. That’s why some model castings are made public. Berlin, Paris, London, New York, what is most worthwhile? The concepts and the presentation are of course the most extravagant in Paris and New York! If you’ve experienced one like this here, Berlin will soon seem relatively small to you. Especially in Paris big shows are traditionally done. Everyone knows the famous productions for Chanel by Karl Lagerfeld, trend-setting with robots – in the supermarket or in the forest, every kind of production is feasible. In Berlin the scales are a bit smaller, here you have two or three locations, which are usually not specially prepared, the focus is on fashion. Of course, this has its very own charm. Fashion Week is not only important to see new clothes, but also to network and meet again. Here you see the difference to Berlin, Paris, absolute highlight! What is there to experience besides the fashion shows? In the streets of Berlin, especially in the city centre, you will find a lot of events that take place parallel to Fashion Week. For example, there are great parties at the House of Weekend, one of the rooftop bars in Berlin. Not only cash, but also club! A truly unique experience for Berlin. If you are an agent at a model agency or a model at Fashion Week in the summer, it is also worth taking a look into the great crested diver, just a few metres from Warsaw Street. In the Great Crested Grebe you not only have a club but also a huge pool. Especially in the hot summer days, the cooling in the evening is perfect here. But there are also smaller events and parties, from DJs to barbecues. Of course you have not only the time to visit events in the evening, but also many events in the night. Magazine Parties in clubs, private parties in larger houses but also designer events, often with celebrity singers who present new songs for an invited audience. From a cosy barbecue to a magazine party you can experience so much in Berlin. Many dates can be found on the official site of the would Fashion Week but also always in our fashion blog! Male Model: How to become a model as a man? https://cocainemodels.com/wp-content/uploads/2018/06/fashion-week-berlin-runway-catwalk-models-candy-modenschau-mode-trends-promis-paris-1.jpg 600 1200 Hanna https://cocainemodels.com/wp-content/uploads/2015/04/modelagentur-logo-deutschland-cocaine-models.png Hanna2018-06-22 14:43:202018-06-27 17:01:11Berlin Fashion Week: Shows, Dates and... Invitation? You want to become a manager for influencer marketing and social media marketing? You’ve come to the right place for an internship or training in Cologne! Our customers approached us early on about “Social Media Marketing” and so we have constantly developed further. Today our Influencer division reaches several million people, in Germany alone. Influencer marketing is still such a new area that there are very few experts. For this reason, we are also more frequently invited to lectures or workshops in companies that want to further their employees with further education or training. Social media marketing is the most modern form of marketing, as a sub-discipline of online marketing, it deals primarily with people and group dynamics. In contrast to classical advertising, there are hardly any best practice projects or case studies that can be used as orientation. In contrast to poster advertising, this is about very individual concepts. Every blogger is different, has his own opinion, ideas and wishes. As an influencer manager, you have to respect all this and find solutions together with the blogger and the customer. At the same time, you must learn to develop concepts and strategies that will appeal not only to bloggers and customers, but also to 100,000 or millions of followers. Read more about the job and career opportunities of an Influencer Marketing Manager under Career Information and Requirements. Application for Influencer Marketing & Blogger Relations only possible for Cologne! We are looking for interns and trainees who want to immerse themselves fully in the world of media, models & advertising! At CM you will see all areas and get to know all aspects of a model and media agency. You will gain deep insights into office and administration, as well as media skills: Modern online marketing, social media and influencer marketing, PR and much more. How would you package a shower gel in a YouTube video, produced by a boxing world champion who never shows products in his videos? You have a whole country that wants to become for its tourist destinations, its regions but also the advantages that a holiday in this country has. You have a certain budget, how would you build a campaign? If you want to learn all these skills, you need a lot of personal commitment and a good professional training. We are one of the few agencies in Germany to offer Influencer & Blogger Relations training! With us, as a businesswoman or businessman for dialogue marketing or office management, you can focus on influencer marketing and social media marketing. If you master your field, you have the chance of a permanent position in our agency! With us you are at one of the most modern agencies, with clients all over the world. We design campaigns get in the USA, Chicago but also for France, Japan and of course for some customers in Germany. It’s not going to get boring! Of course you don’t start with such big campaigns, but as part of the team you will always be part of them. Because our agency is owner-managed, you work directly hand in hand with the management. Not only with our Creative Arts Director but also with our Model Booking Team. If all this becomes interesting for you, then we are looking forward to your application! Models and Influencer in New York need to know all trends as they happen! For most niches, blogging may be a dead art. Gone are the halcyon days when anyone with specialized knowledge, a willingness to put words to page, and a half-way decent set of coding could garner a modest, if self-sufficient, income. These days, with everyone and their mother writing a blog, most blogs are simply one part of a diverse portfolio to build one’s brand.Still, if you are looking for the latest trends in fashion from those in the know and on the streets, there is no better place to turn than a well curated fashion blog. Here you will find much inspiration as model for trends, outfits and styling in New York. More about the fashion world? 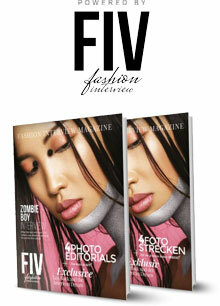 Check out FIV fashion magazine. This list has a host of bloggers from the other coast, but this one comes from across the pond. While Karen Blanchard has a cutting sense of fashion, she also takes delight in uncovering the hidden gems of small boutiques and alerting her fan base to their location. She is also a photographer and shares fashion tips related to photography. Rachel Schwartzman hosts her blog exclusively on Tumblr, once again showing the trend of moving away from traditionally web-hosted blogs to those hosted entirely on social media platforms. Her sense of fashion is entirely limitless when it comes to style. All but the rarest of niches will not be able to find something that appeals to their personal tastes. The Glamorai is Kelly Framel’s brainchild and an excellent example of what successful new media looks like. She blends the platforms of blogging, magazines, and DIY tutorials into a seamless stream of fashion and travel nuggets waiting to be unearthed. Based in New York, Framel also works as a multi-media creative director, so not only does she understand the subject, she sees it from both sides of the lens. Jazzi McGilbert covers fashion in one of the broader senses of the concept. Not only does she offer advice for a multiplicity of styles, she does so from coast to coast. With a background interning or some of the biggest media platforms in the fashion industry, Jazzi draws on her experiences and observations from New York and Los Angeles, arguably two of the most influential fashion scenes in the world. Nicole Alyse is all about making statements with her sense of fashion by wearing styles that are often provocative and will almost certainly get a reaction on the street. She has a preference for vintage and created a style she refers to as “gypsie vintage.” Her blog also covers food, travel, and other leisure topics. Christine Caradona often prefers simple, yet stylish fashion, but her exposure in the fashion scene is anything but simple. As part of the new, young fashionistas, Christine has built an impressive following on various social media outlets where she shares her real world sense of fashion with the public, though she does still maintain her original blog. This blog has actually recently undergone an image transition as the editor, Amy Marietta, has achieved enough notoriety and expertise to push the brand by her name alone. This Los Angeles native is stationed in New York, bringing a hybrid sense of fashion that effortlessly blends the laid-back California style with the posh sophistication of New York. Aside from blogging, Marietta also writes for other professional outlets and designs her own clothing which are often featured on her blog. Jinna Yang may have started out as a New York fashion blogger with a street style, but she has since parleyed that inauspicious origin into a vibrant career with many branching paths. Her original blog has since moved to Tumblr, as many hip bloggers are doing, but she also has a started a new website that covers her diverse interests ranging from travel to food to dreams and even homages to her father. Frances Kwon may prefer a bit of a stripped down, simple style with her blog’s design, but the same cannot be said for her fashion sense. She covers almost every conceivable style that is worth mentioning in modern fashion. Whether you prefer a simple elegance or an over-the-top, in-your-face extravagance, she has you covered. She also offers tips on skin care—an issues with which she has personal experience. NYC Pretty could arguably be called Christine Herr’s “side gig” seeing as she is and has been the fashion editor of over a half-dozen magazines and periodicals, including Good Housekeeping and Life & Style Magazine. Of course, this New York fashionista does not limit herself to a small box and also offers advice for cooking, nutrition, and fitness. Maria Gonzales is a fashion college student who shares her experiences and lessons learned online. Her sense of style generally favors the comfortable and perhaps a bit simple with touches of flair and a focal piece. Any aspiring fashionista would do well to read her blog and take notes. Louise Delorito started as your standard blogger, but she has seen the light of the coming social media takeover and moved most of her new work to those platforms, like Tumblr, Facebook, and Twitter. With her partner, Sam Duenas, Louise has taken the social media fashion scene by storm, with no boundaries when it comes to style—simply good taste. Tavi Gevinson has done what more than a few fashion bloggers have failed to do: perfectly blend a personal, journal-style blog with a fashion blog. Starting when she was only thirteen, Tavi leans towards a more nostalgic sense of fashion often preferring to blend the styles of days gone by with modern motifs to create something truly original. Irreverent and a bit tongue-in-cheek, her work is nonetheless insightful and entertaining. Natalie Suarez is another Los Angeles transport that has made a home and name for herself in New York. There is something about mixing the two coastal cultures that creates a fabulous blend of style and entrepreneurial spirit. With experience as a model, Natalie is able to bridge the gap between the fashion world and fashion in the real world. Leandra Meline has found a way to perfectly blend the serious and chic world of fashion with the silly and irreverent world of comedy. On her blog, she often focuses on fashion styles that women adore but men find underwhelming. She also covers broader topics of culture and the interpersonal dynamics between men and women. What about models on Instagram, Tumblr, Facebook …? Read our ranking: Model Blogs you have to know! Alyssa Bossio posts pictures from her everyday life and made it to over 1 million followers on Instagram. On her blog, she focuses on fashion styles and healthy meals that women adore. Frances posts pictures from her everyday life and already have a little fanbase on Instagram. On her blog, she focuses on fashion styles and and make up tips. Amy is everything in one, from content producer to style blogger. On her Channel you can see her in diffrent places. A lifestyle which is followed by 68 K people on Instagram. Christine Bibbo is among the most sought-after stylists/spokespersons/fitness fanatic in New York City! She has a keen eye for details. She can always create looks that define the mood of the moment. Christina is a model who currently lives in France but originally comes from New York. She posts edgy pictures on her Instagram Channel and Outfits/Moments on her Blog. icole is a fashion blogger based in New York. She focuses on fashion, vegan food, travel and lifestyle. She has been featured in print like Teen Vogue. She is a full time blogger and owns a Vintage Boutique. Why are bloggers and influencer so successfull? Bloggers have conquered the fashion world. Since the first 10 years ago on YouTube and the further development with Instagram about five years ago, the world of bloggers has changed dramatically. Before that, the first blogs were still websites, bloggers wrote daily or weekly about new outfit trends, make-up or styling tips. Thanks to the smartphones like the iPhone, good cameras and Instagram, you can constantly give new inspiration, without the need for elaborate texts. That’s what makes Instagram so popular! Whether it’s fashion tips for spring, summer, autumn or winter, styling tips for the evening or just a bit of entertainment from our favorite blogger in the stories. Some bloggers reach over 100,000 people, some even millions, so they have an extremely important voice in terms of fashion and trends. Did you know that Vogue (Germany) reaches 120,000 people with each edition? Here’s how important Instagram has become for the fashion world. This has also changed fashion shows, today sit in the front row not necessarily celebrities and VIPs but especially young Instagram stars with their camera. They record the new collections, give an honest and immediate assessment and take their front directly and live on the shows. New York designers swear by bloggers, and many bloggers are now releasing their own fashion collection, which they successfully market. It does not just have to be about fashion, other accessories work or perfume. Shirin David, one of the most famous German youtubers, sold her perfume completely after only three months. All without a big advertising budget, only through their followers. This shows how valuable bloggers are, even in self-marketing. More and more companies are working with you, not just fashion companies. More and more established companies as well as insurance or automotive companies are looking for bloggers to advance their own brand in a young target group. How much do bloggers earn on Instagram, Youtube and online blogs? The income of the bloggers differ in each case according to the network, that is, according to the complexity of the production, according to the frequency of the postings but also according to the private label, that is, the own fame. The better known a blogger is, the higher the likelihood that other bloggers or media such as magazines will take over their content. This, of course, gives the booking customer additional scatter effects and possible new customers. An Instagram post brings about 10-15% of a YouTube video. But the Instagram photo is much easier produced. Anyone who has a written blog will also be paid by reach. Just like bloggers in social networks. For companies, Youtuber and written blogs are more interesting. On written blogs you can go to the left, these links then lead directly to the online shop and provide week after week for new sales. It’s the same with a Youtube video, the Youtube video is once successful, it once reaches many people in the coming weeks, months and sometimes even years. This makes YouTube and written blogs very interesting for customers. However, Instagram also has its market, in particular with regard to trends and the permanent presence of one’s own brand among a young target group. With 100,000 fans, you can already ask $ 1,000 per image, depending on the negotiation more or less. For a good YouTube placement, which means also permanently and not just a short moment, you pay as an advertising customer ever 7,000 to 10,000 $. Then there are not only the postings on Instagram, but also the stories. In addition, influencers or bloggers are often booked for events. A very simple example, a new fashion center opened or a new outlet center, but also restaurants, clubs and events are always hot on photos of bloggers. You have recommendations and new, top bloggers for our list? These girls have definitely made it! If you have any good suggestions or updates for our Blogger list, contact our editors. Thanks to IO video crew. More about the film & video team? Visit IO | Video Production. Influencer on Instagram + Youtube: Brands only! https://cocainemodels.com/wp-content/uploads/2017/11/influencer-marketing-model-agency-instagram-youtube-promotion-models-fashion.jpg 600 1350 Stephan https://cocainemodels.com/wp-content/uploads/2015/04/modelagentur-logo-deutschland-cocaine-models.png Stephan2017-11-05 21:02:132019-02-14 23:39:17Influencer on Instagram + Youtube: Brands only! As a model in social networks, one should always consider a few basic elements of social media management. Especially (mostly) young models polarize. You’ll soon become a person of public life. So think before creating your model fan page on Facebook, Twitter and Instagram. To make the first step into social networks and platforms easier, here are 6 tips from Social Media Manager Hanna. Facebook & Co. is not only for fans and private individuals – professional photographers, model agencies and scouts are also on the road here. They also use Facebook and Instagram as a platform – also to scout new models! In New York we met an exciting article by Cris Cardona – she also swears by social media. Social media is not only a good tool for your own PR as a model, it is a real must have. It is important for you to be a “social model” by 2015. Many models even became famous through social media like Tatiana Marinescu. Want your own Facebook fanpage? Then here are 8 helpful tips to make your Facebook look really good! You’re new and don’t know what to write? No problem. A short description of your agency is also sufficient at the beginning – usually you get text on the agency page. 3. How do I post? When is the best time to post? Your fansite is still empty. You have your profile picture, the cover picture and description texts. Now you should start posting! Best of course, before you invite friends and people to liken your site. It is better to have some content (content, pictures, videos, etc.) on your site first. Social media postings work very visually – that means that pictures and videos in particular work well, long texts rather less. So divide your pictures, with a short description, into a maximum of 3, 4 lines in which you tell people about the photo – about the location, the team or the job itself. But be careful to keep the texts short. You can also share links from friends or other fan pages. And, of course, your model sedcard. If you can mention someone else in your Facebook posts, do it! For example, the photographer. Mention him in the post and mark him in the picture. Hashtags are very important! You should always use a few in your posts. There are also some trend words like #model or #portrait – many thousands of people search for them every day. You can also make up your own hashtags. 4. Fan and community building: How do I get fans? Now that you’ve shared a few posts and maybe some pictures, articles and videos, you can invite friends to join Liken. Directly under your title picture there is a button with three subitems – here you can invite friends (“invite your friends”). With this option you can win some fans directly for the fanpage. Invite everyone! You can also ask your friends to mark your site partially or in a post to get more followers and fans. You should try posting comments on other Facebook fanpages. But also groups can bring you new likes and fans. There are really many modeling groups. All you have to do is search for it on Facebook. Here you can find and get to know other models, if you share your fanpage. 5. What and when should I post? Now you have first content, pictures or videos, a cover- and profile picture and – important – first fans, you have to keep your fanpage up to date and actively run it. That means, you need a small strategy, so that you always have enough material for postings available. You can also take pictures from your everyday life, it doesn’t always have to be a professional photo shoot, your fans also want to see what else you do. Fashion show? Then you should tell me immediately! Use hashtags! Hashtags find you on Instagram. Look at other pictures, see which ones are popular and what hashtags they use. Let your fans see Behind the scenes pictures and show them the finished pictures later. With these 6 simple tips, you should get your Facebook fan page to the top quickly. If you want to learn more about Social Media Management, you can also contact our Social Media Agency.